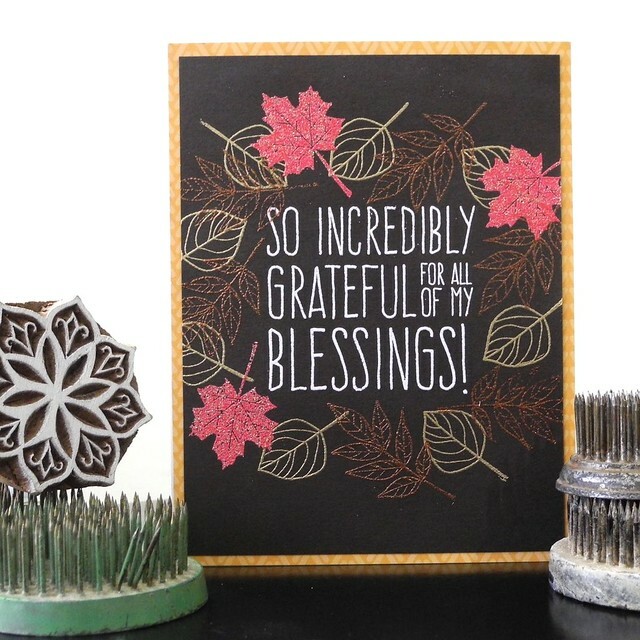 Have you SEEN the November Card Kit from Simon Says Stamp? Have you SEEN IT? Well, it is fabulous. For reals fabulous. Actually, I'm not even going to say too much, I'm just going to show you this card that I made with it. Because... THESE STAMPS, YOU GUYS! I used the gorgeous leaf stamps with several different embossing powders to create a layered, embossed design on the Kona Coffee cardstock and layered that over one of the pretty patterned papers. I am in love with those leaves. Lots. Lots of love for leaves. And such. All the heart eyes for this card! I just loooove how gorgeous and elegant it is. Gorgeous card! Absolutely love the sentiment! This is really gorgeous! 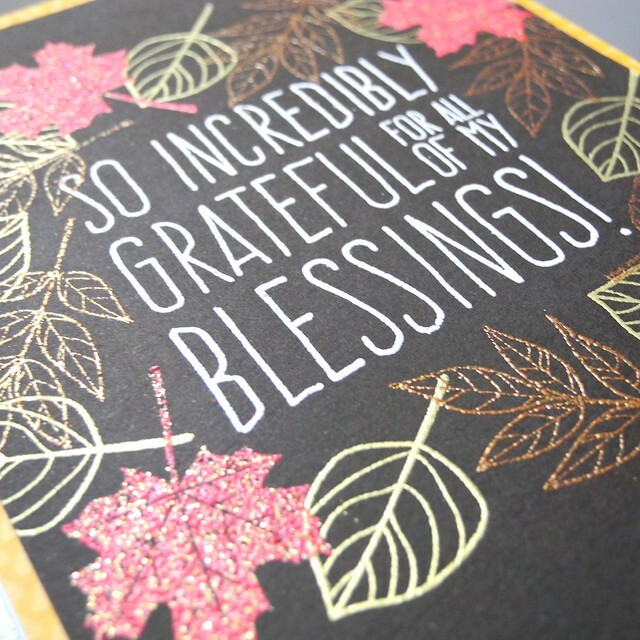 Love the black base and all the embossing with the mix of solid and outline leaves!